The experience of having to share a bathroom with multiple family members can range from a simple inconvenience to downright meltdown-inducing. 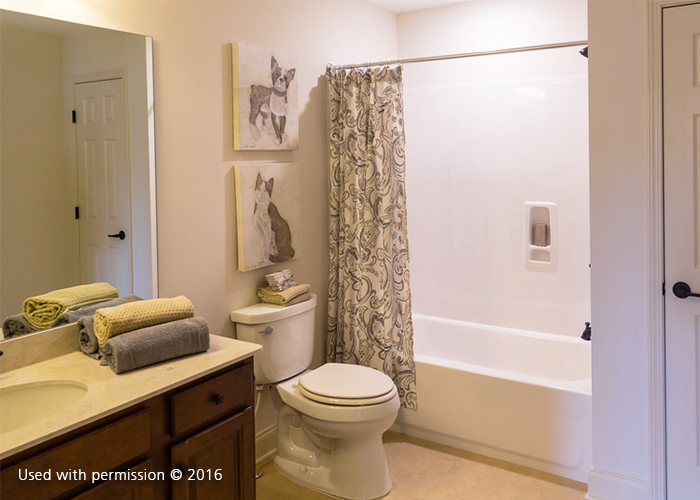 Unfortunately, unless you’re ready to do a custom bathroom remodel, there’s no getting around sharing this space. Here’s how you can survive living in a one-bathroom home! The problem with having just one bathroom is that you’ll always end up with more than one person needing to use the same space at the same time. Barring emergencies, you can address this by coming up with a schedule and making sure everyone in your household sticks with it. Scheduling can be a bit tricky if you have children but it’s certainly doable. Need your first aid kit but the bathroom is occupied? Never go through this frustration again by taking out the essentials from your bathroom and storing them elsewhere. You can make do by clearing out a small space in a kitchen cabinet for essential toiletries and first aid items, or designating a storage shelf in the hallway next to your bathroom. If you must share a bathroom, having two sinks will at least help you speed up the time spent brushing teeth and other activities that involve using the sink. Aside from helping you set up the best two-sink configuration for your home, bathroom contractors can also recommend other solutions to help you make the most of the current space you have. Considering giving your bathroom an overhaul? DreamMaker Bath & Kitchen of Tyler is here to lend you a helping hand! Simply give us a call at (903) 255-7111 to learn more about what our professional can do for you and your home. Let’s start a conversation today!